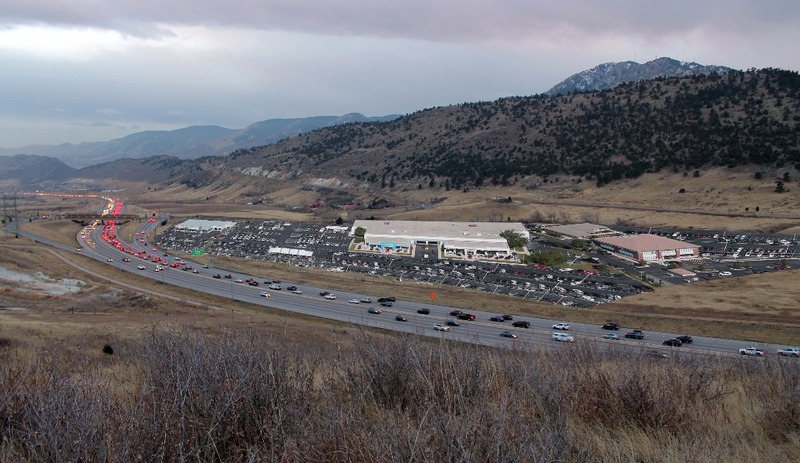 The private property around Dinosaur Ridge, Matthews-Winters Open Space and Hayden-Green Mountain Park is currently zoned to allow for smart development that promotes low impact development that promotes economic growth. However, this land has significant development challenges, is archaelogically sensitive, and generally is not very attractive for large retail development. An application to allow re-zoning of the land to accomodate highly impactful uses that conflict with the surrounding uses of open space and park is being proposed.  Not result in impacts upon property in the surrounding area without adequate mitigation of impacts to pre-existing levels. We are seeking funds to support printing materials like business cards and flyers, to do public outreach and pay any legal fees. But, have set our goal so high so that, should we obtain this level of support, we may either attempt to negotiate for a land acquisition or build a new facility in a new location. Any funds raised and not applied to the above uses will be donated to the Friends of Dinosaur Ridge. Well, by now you've probably heard; the car dealerships were denied under the rezoning application! While there were some conditions approved that are not desirable, we feel that our mission to this point was achieved. We could not have gotten this far without your support. For that Dinosaur Ridge Neighbors and the entire community of residents and visitors to the area and Dinosaur Ridge want to say a huge THANK YOU! While we've done what we set out to do to this point, the work is not done. We are deciding our next steps. We have a number of next steps set out and additional goals to ensure the appropriate use of this land. We will share these details in the coming days. Please continue to share our cause and send supporters our way. Honestly, our next financial goal is much larger than we can likely accommodate via gofundme. We will continue to gather donations here for legal fees and administrative costs. Please share our gofundme link with your friends and contacts. Thank you again for you support. This has been an amazing effort and the outcome has been better than anyone expected. We beat nearly insurmountable odds. Irresponsible journalism at The Denver Post! Today's editorial included many inaccurate statements and ignored much of the truth regarding the rezoning issue. PLEASE, everyone, take a few minutes to contact The Denver Post. Ask them to review the facts that were presented at the 1-17 JeffCo Board of County Commissioners hearing and also placed in the case file. The editorial board needs to rescind their inaccurate statements and post another editorial that offers factual, balanced and complete information. If you wish, you can specifically address your comments to the editorial board members: William Dean Singleton, Mac Tully, Chuck Plunkett, Megan Schrader and Cohen Peart. AND, please share this information with everyone you know. Thank you! Hearing Information, How You Can Help & Major Media Coverage! Interest in the issue of rezoning at C470/Alameda is exploding! •	Westword article by John Prendergast on 1-11-17 http://www.westword.com/news/jeffco-battles-over-proposed-car-dealerships-next-to-dino-ridge-8672438. •	Come to the Hearing on January 17 at the County Court House (Taj). The Hearing begins at 8:00AM (the rezoning issue will likely not begin until around 9:00AM) and may continue for several hours. You will be able to sign up to speak after you arrive. •	Make a donation to help us cover legal fees - https://www.gofundme.com/savedinoridge OR email us for mailing address to donate directly! The outcome of the hearing will define who we are and what legacy we leave to future generations. Our community must come together to stop rezoning and inappropriate development at our beloved Dinosaur Ridge! C470/ALAMEDA REZONING HEARING IS TONIGHT! Please arrive as early as you can to sign up to speak. Please car pool or take the Light Rail if appropriate. West line stops at the Taj Mahal. We encourage EVERYONE to attend to hear the issues! We believe rezoning of the NW quadrant would lead to far-reaching negative impacts on the environment and permanently mar the beauty and enjoyment of the hogback. 1. If you wish to speak keep your comments factual and objective - but throw in some stories to keep it interesting and personal. 2. You can speak for 3 minutes but a heartfelt 30 second speech can be just as effective. 3. Plan to arrive by 6:30 so you can hear the developer's presentation prior to comments from the community. 4. The Hearing may be long - bring bottled water and a snack as there are no vending machines in the building. 5. The Taj Mahal is located at 100 Jefferson County Parkway. There is a 2-level parking garage in front of the building and additional parking in the RTD garage. The hearing room is on the first floor to the left of the front door. The editorial in the Denver Post is very disturbing and shows a definite bias towards the 3 Dinos LLC. What are our options now? Can we do something on the 31st. to continue the effort to protect Dinosaur Ridge? If the money to buy the property could be raised, surely the 3 Dinos might consider selling. Where do we go from here? Hi Jennifer, that's a great question. A number of people and groups have asked how much in the last year. But, even thought there's a for sale sign on the land, it doesn't seem to be for sale. Hopefully, that changes but it doesn't look good at this point. We started this cause under the assumptions that everything is for sale and that development is not a done deal until the bulldozers show up. We'll let you know if we hear anything different. Thanks for your support. 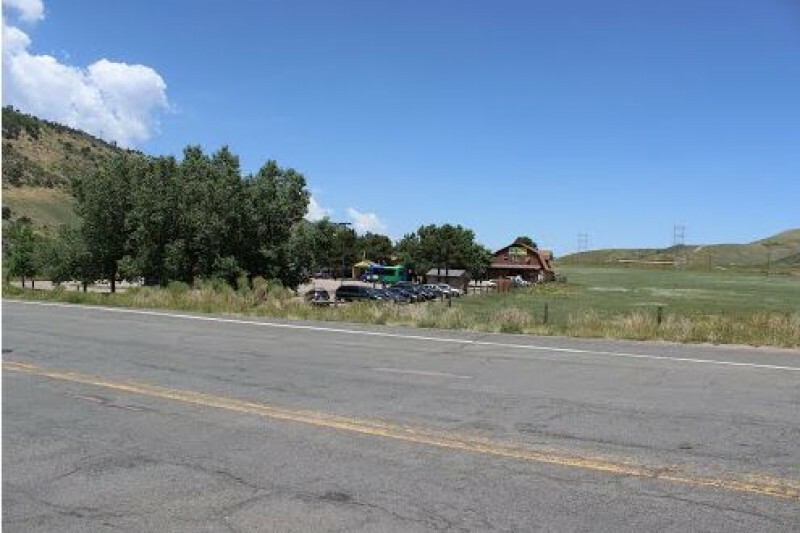 Is it an option to purchase this property (or maybe have JeffCo Open Space purchase it) in order to preserve it? I spend a lot of time in Jefferson county cycling and hiking, particularly in this area.